AGI has created an asset portfolio that stretches around the globe, yet it remains a family-driven enterprise. Built on the Abu Ghazaleh family's unbreakable unity and run by its locally and internationally experienced family members, it holds a unique formula for success. 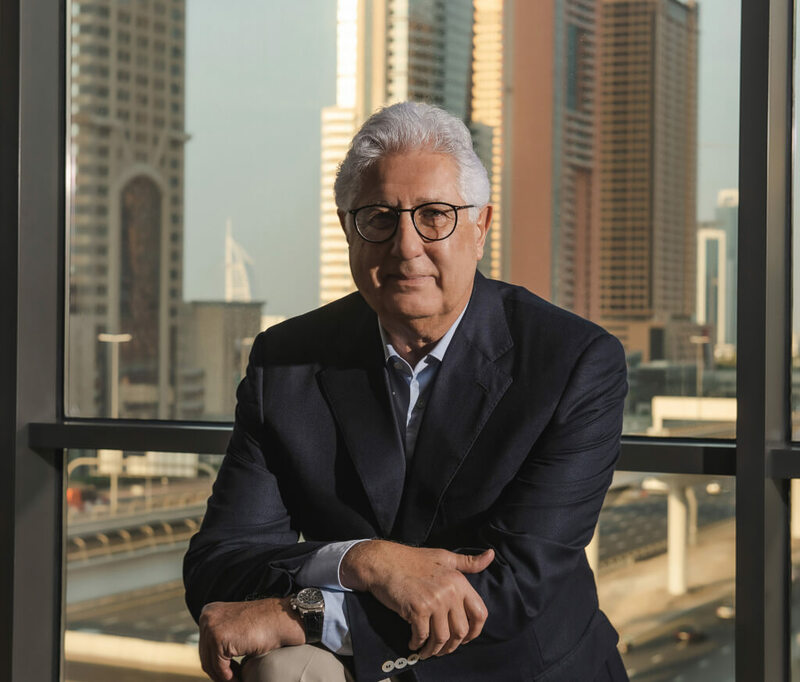 The founder of AGI, Amir Abu Ghazaleh is an Emirati national with a wealth of multi-industry experience. A highly respected businessman, Amir is responsible for the company’s overriding investment strategy. Amir also serves on the Board of Directors for a number of international and regional companies including Fresh Del Monte Produce, Arab Wings, Royal Jordanian Air Academy, Clemenceau Medical Centre and National Poultry Company (Jordan). Prior to this, Amir was also General Manager of Middle East Trading Industrial Co. (METICO) and General Manager of Ahmed Abu Ghazaleh & Sons (AAG & Sons). Amir graduated with a BA in Business Administration from American University of Beirut in 1970. Mohammed joined his father Amir at AGI in 2002. Born and raised in the UAE, Mohammed is responsible for developing the vision, direction and diversity of AGI’s growing portfolio. He also takes the lead role in defining and executing the company’s strategies for its expanding real estate investments. Mohammed holds a BA in Economics from Boston University. Mazen has held the position of Executive Director since joining AGI in 2010. He has a pivotal role in identifying future investment opportunities and developing AGI’s expansion into new industry sectors. Like his brother Mohammed, Mazen was born and raised in the UAE. He holds a BSc in Business Administration from Boston University School of Management and a Masters in Tourism Administration (MTA) from George Washington University.